A refinery owned by the Oil and Natural Gas Corporation is the destination for the first major order for manual valve gearboxes to be built at the Rotork Gears factory at Jigani in Bangalore. A total of 389 Type AB quarter-turn gearboxes have been ordered by the Indian factory of valvemaker Virgo Engineers Ltd, for the operation of trunnion mounted ball valves in sizes between 2 and 8 inches. 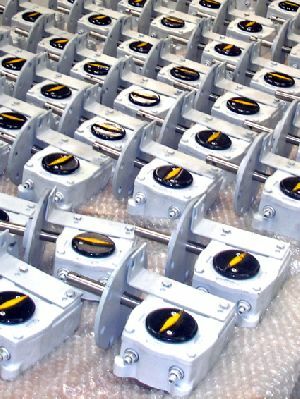 Designed for a wide range of industrial environments, Rotork Gears AB gearboxes are constructed with rugged polyurethane coated, grease filled cast iron housings. High performance axial bearings withstand arduous operating duties at rated quarter-turn torque outputs of up to 32,000Nm. Standard environmental protection is watertight to IP67, with IP68 available for submerged or buried applications. The Rotork factory at Jigani was opened earlier this year to provide additional manufacturing capacity for the Indian valve markets, complementing Rotork’s existing plant at Chennai, which is also receiving investment for expansion.